The current period in the United States reflects an imperialist power in decline – what Lenin called “moribund capitalism.” U.S. influence around the world is generally weakening, and this means a number of things for the working class and oppressed nationalities living inside the U.S. 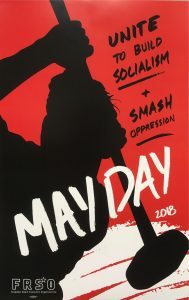 The primary factor U.S. communists see in the present day is heightened attacks against the people’s movements, which means that communists should fight back and win all we can win, build a new communist party, and bring forward into the struggle all elements willing to unite behind the correct line in the united front against imperialism. This period of U.S. politics is differentiated from the previous period by the election of Donald Trump. The presidency of Barack Obama ended in 2016 with the defeat of Hillary Clinton and the election of Donald Trump, who was inaugurated on January 20, 2017. This was unexpected by many sectors of the ruling class which had backed Clinton and political analysts who said Trump had no real chance of winning. Many oppressed nationality people saw their worst fears confirmed, and many other people were shocked by the outcome. Trump was elected for a variety of reasons, including an excess of “dark money” free media which gave Trump a surprising financial edge at the end of the presidential race, and the mishandling of Clinton’s campaign by leading democratic party officials who failed to plan visits to key battleground states like Wisconsin and Pennsylvania and lost those states to Trump. The impact of ‘right to work’ and the collapse of unions in Rust Belt states and an appeal to white supremacist rhetoric in the face of significant demographic changes also contributed. Clinton was viewed by many working-class people as an exceptionally corrupt politician unworthy of support, and this, coupled with voter suppression and sexism also played a role in the outcome of the election. In the end, Wall Street’s candidate lost to the billionaire and the ruling class has never lost sight of its own interests in dealing with the aftermath of this. Trump himself seemed surprised by his own victory, and quickly put into motion plans to construct a reactionary political cabinet around himself filled with military leaders and other billionaires. This cabinet is unique in that it is the billionaires themselves filling the seats, rather than the political lackeys who normally serve those roles. Trump also appointed Steve Bannon to a newly created position, that of White House Chief Strategist, which Bannon served as for about a year. Bannon, who is the executive chairman of the far-right Breitbart News and had support from right-wing billionaires like the Mercers, quickly began reinforcing Trump’s already conservative ideology by advocating for stricter immigration policies and harsher trade regulations against China and Mexico. This is all an attempt to form an alliance with white supremacist and gain their support for an increasingly unstable and rogue administration that is an unstable representative of the ruling class. Bannon is one of many leaders of the ‘alt-right’ Trump has worked with to further his own 1% agenda of white nationalism, bigotry and economic policies that favor the rich. Before Trump, Obama’s time in office saw some advances by the people’s movements, including the rise of Occupy Wall Street, the birth of the Black Lives Matter movement, the enacting of Deferred Action for Childhood Arrivals (DACA) and the Affordable Care Act, and the legalization of gay marriage. Obama’s time in office also saw defeats for working people, including the devastating restructuring following the economic crisis of 2008, a continuation of war in the Middle East, more deportations of immigrants than ever before and continued attacks on the trade union movement. Domestically, Trump has launched terrible attacks on the working class, oppressed nationalities, women and queer people. After coming out as a climate change denier, Trump has cut funding to the Environmental Protection Agency, withdrawn from the Paris Accords, pushed forward destructive and racist pipeline projects and deleted climate change data from federal websites. Some of these environmental attacks have a dual nature, such as the struggle over the Dakota Access Pipeline (DAPL) that directly targeted native people and their land. He has consistently attacked transgender rights. He supports attacks on women’s dignity, and especially reproductive rights. His attacks on immigrants have gone far beyond rhetoric about building a wall. Trump’s vocal opposition to the movement for Black liberation has had a strong effect on racist groups in the U.S., which are growing at an alarming rate. These attacks have been met with a heroic resistance by a broad array of forces – a real resistance carried out in the streets and workplaces by working-class people, different from the efforts of failed politicians to lead workers and oppressed people back into billionaire political parties like the Democrats. Trump’s billionaire agenda, bigotry and backwardness have united many arenas of struggle with the goal of stopping the political agenda of Trump and the class he represents. 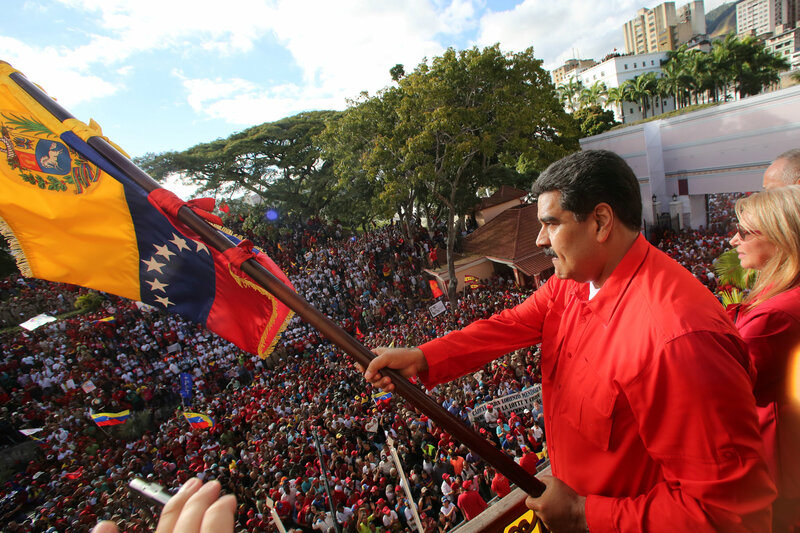 While the movement is not as large as it was immediately following the election, those active on the ground are more focused and experienced than they were a year ago and it is up to communists to win them to the correct line. One of the very first racist acts of the Trump administration was Executive Order 13769, the Muslim travel ban. A wave of mass protest at airports from coast to coast erupted, pushing the courts to block the ban. Many of the affected communities, including Palestinians in Chicago, Somalis in Minneapolis, and Iranians in Los Angeles mobilized for this fight. Right-wing anti-Muslim protests inspired by Trump were also swamped by counter-protesters who outnumbered them by as much as 20 to 1 or more. Other oppressed nationalities, such as Japanese Americans in the San Jose-San Francisco Bay Area and Chicanos in Los Angeles mobilized their communities to show solidarity with American Muslims, who are overwhelmingly oppressed nationalities (African, African American, South Asian and Arab Americans). Central to the struggle for immigrant rights have been Chicanos, Mexicanos and Central Americans, who are the main target of the Trump administration’s racist anti-immigrant policies. Trump’s border wall, ending DACA (Deferred Action for Childhood Arrivals), the dismantling of TPS (Temporary Protective Status), the increase in deportation arrests, and the Republican RAISE act that would cut legal immigration in half and end family reunification visas all focus on immigrants from Mexico and Central America, as well as affecting other oppressed nationalities, especially Asian Americans, Arabs and others from the Middle East and Africa. This is an attack on all immigrants who are fighting for their homes, families and sanctuary in the U.S. The struggle of Chicanos, Mexicanos and Central Americans also includes other fights. Inside the Chicano Nation in the Southwest, police killings of youth, privatization of public schools, and other forms of national oppression are facing a growing fightback. In the current period, attacks on immigrants are particularly vicious and must be met with a special emphasis by organizers. The racist murder of Trayvon Martin in 2012 sparked a powerful movement around the country for justice, particularly around cases of police brutality and vigilante violence against Black people. Some of the heightened points of struggle include the Ferguson rebellion in 2014 and the Baltimore rebellion in 2015 after the murders of Michael Brown and Freddie Gray, respectively. Around the country, protesters took to the streets and held vigils, marches and rallies for justice calling for an end to racism and national oppression. The slogan “Black Lives Matter” grew in use through many campaigns against injustice – including the protest movements against the murders of Sandra Bland, Eric Garner, Laquan McDonald, Jamar Clark, and Philando Castille – and continues to inspire struggle. In perhaps one of the most interesting cultural events, National Football League player Colin Kaepernick’s taking a knee during the national anthem has sparked an even stronger debate about police brutality in the U.S. The phenomenon of taking a knee, begun by Kaepernick during the Obama years, has continued well into Trump’s presidency as a popular symbol of resistance. While the movement for justice has seen ups and downs since Trayvon Martin, with some sectors of the movement going over to the Democratic Party or non-profits, there remain many good forces dedicated to real organizing in the streets for justice and these are the forces communists should unite with. Many younger activists within the BLM movement have independently developed an interest in socialism and make up some of the brightest stars in the movement. Police departments are becoming more and more militarized. Several cities around the country are struggling for community control of the police and are trying to pass police accountability councils. The people in the streets, who are the real agents of change in society, have much to be proud of and a lot of work still to come for the cause of Black liberation. In particular, the work fighting for community control of the police, headed by the Chicago Alliance Against Racist and Political Repression, has led to a rise in the movement fighting for police accountability in other cities like Jacksonville, Florida and Minneapolis, Minnesota. Trump has continued the Obama-era policy of not prosecuting killer cops who kill unarmed Black people. He has taken it further by actually promoting police terror, joking about police roughing up suspects. The state attacked the Black Lives Matter movement by targeting them as ‘domestic terrorist organizations,’ while killer cops face no repercussion. Attorney General Jeff Sessions event went as far as to end an Obama-era initiative that encouraged law enforcement agencies to enter into voluntary periods of reforming practices and procedures following special cases like the murder of unarmed oppressed nationalities by the police. Trump’s presidential race brought forward many white nationalists who, since his election, have become much more public and bolder. Alt-right figureheads like Richard Spencer have risen to prominence. Nowhere was this more visible than in Charlottesville, Virginia in August 2017, when a white supremacist murdered anti-racist protester Heather Hayes during a demonstration to remove Confederate monuments in the city. The racist attack shows the importance of beating back national oppression and taking down Confederate statues and monuments. Even though the movement to remove the monuments is often taken up by white activist groups, it is still an important issue in the Black Nation of the South. We stand for defeating the growing far-right movement and defending our own movements by any means necessary. Trump’s administration wasted no time attacking the historic gains made by the working class in the U.S. The Labor Department has been hard at work fighting to reduce overtime benefits that the Obama administration had tried expanding as a concession to the working class. Trump himself has been an advocate against raising the minimum wage, and in particular has opposed the Fight for $15 movement. There is less accountability for employers for how workplace health and safety are regulated. Right to Work is gaining momentum in states with conservative governors. Notably, Trump appointed a Supreme Court judge that will allow Janus v. AFSCME to move forward. This would result in the whole public sector going Right to Work on a national scale, which would be a devastating blow to the labor movement nationally. Trump’s general approach to labor policy has been a reflection of his class affiliation as a billionaire who seeks to promote deregulation. His empty campaign promises about creating jobs have remained empty promises. The trade union movement, including organizations like the AFL-CIO and others, is facing vicious attacks in the U.S. Unfortunately, the class collaborationist leadership of the trade unions has proven unable and unwilling to really organize much of a defense against policies like Right to Work, but there is hope in the rank-and-file movements. Partial victories like those seen by the Teamsters United campaign in 2016, where for the first time in years, reformers won important seats in the Central and Southern regions, show the ability of the working class to fight both the boss and the trade union bureaucrats and win. The level of strikes is at an all-time low in the U.S., but militant movements are struggling to revive that important weapon in the arsenal of labor. The militant strike led by the Chicago Teachers Union in 2016, one of the largest and most important strikes in recent years, showed an excellent example of how trade unions can fight back and win gains. After the election, a million women marched in Washington. This is unfortunately no surprise, given the terrible comments about women made by Donald Trump before, during, and after his campaign. The #metoo movement has been a positive development. Institutions like Planned Parenthood face serious legal attacks, along with right-wing vigilante repression. The rights of women and trans people to choose about their reproductive health are under attack by politicians and their supporters under the guise of “making America great again” by placing women into a social status similar to the one they occupied in the earlier centuries. These attacks primarily target working-class women and oppressed nationality women, and that has led to lines of demarcation being drawn in the movement for women’s liberation between “petty bourgeois, majority white, trans exclusionary” factions and groups that have a more developed political line. The murder of oppressed nationality trans people continues to occur at a higher rate than any other group in the U.S. Organizing around these cases is found lacking in far too many cities, which calls for greater vigor in fighting back when oppressed nationality trans people are murdered. Around the country, right-wing think tanks are funding local ordinances directed against trans and nonbinary people using the restrooms of their choice. Local movements are fighting back, and many cities around the U.S. have passed Human Rights Ordinances at the local level designed to protect the democratic rights of queer, trans and nonbinary people. While we advocate that no one should join the U.S. military, Trump’s attempted ban of transgender people in the military further highlights a reactionary aspect of his policies. College campuses have become an even bigger arena of struggle against a variety of attacks on education and right-wing attacks in general. One of the biggest struggles has been over DACA. Student organizations like the New Students for a Democratic Society (SDS) have seen more chapters on more campuses than ever before following the election of Donald Trump. Students are continuing to fight to stop Trump’s agenda and have played important roles in shutting down both Trump’s own speaking events at universities and events planned by far-right popularizers like Richard Spencer. The fight for sanctuary campuses has produced good results and taught student organizers a good lesson: struggle can bring victory. Growing concerns about war after Trump’s threats against the DPRK (Democratic People’s Republic of Korea or north Korea), and the never-ending U.S. occupation of Afghanistan point to the growing importance of the U.S. anti-war movement. Palestine in particular continues to face terrible repression at the hands of the Israeli government and their U.S. backers and must see greater solidarity from the anti-war movement if Palestine is ever to be free. These hot spots are but the tip of iceberg of U.S. military intervention around the globe. While the movement is not where it was 12 years ago when there were mass protests involving hundreds of thousands in the streets against the U.S. invasions and occupations of Afghanistan and Iraq, the anti-war movement did play a major role in the protests against Trump’s anti-Muslim and anti-refugee policies. The anti-war movement must be prepared for any sudden escalation of military aggression by the United States. There is no denying that right-wing groups, particularly white supremacist groups, have seen a rise in membership levels and activity since the election of Donald Trump. This includes organizations like the KKK, neo-nazis/facists but also newer formations of the alt-right like the 3%ers and Turning Point USA. At the same time many progressive and left organizations are also seeing new members and organizers step forward to fight back against these attacks. Many progressive and revolutionary organizations have been undergoing a period of exponential growth. These new people are getting active and seeking to learn new theory for the fight against Trump. More people are standing up, some for the first time ever, and demanding a better world. This is what imperialism in decline looks like, a system that cannot correct itself but must be smashed and rebuilt from the ground up. It is up to the communists to navigate a difficult road to socialism, and communists must make many difficult choices along the way. We will see far too many of our friends lost to the trap of the Democratic Party and its cousin, the non-profit sector, in the coming years. We must learn to unite all those who can be united behind our campaigns in the coming years without losing our independent initiative and ideology within the united front. While the movement for change is perhaps not as large as that immediately following the election of Trump, there are still plenty of good forces to unite around the correct line of struggle, forces that are more and more convinced every day that the system cannot be reformed. We must also win over those who have independently developed an interest in socialism to our line. This is a period of major attacks and widespread, large-scale fightbacks. The situation is very dynamic and fluid. As communists, we must lead campaigns that attempt to win all that can be won. Fortune favors the brave and bold. Struggles such as those for immigrant rights, community control of the police or the taking down of Confederate statues can capture the attention of movements in motion. The corrupt and rotten nature of the system is exposed with an unusual degree of clarity. Anti-capitalism and disgust of the bought-and-paid-for politicians is at an all-time high. Times have never been better to raise the level of struggle, be clear and forthright with a socialist vision and to build revolutionary organization. 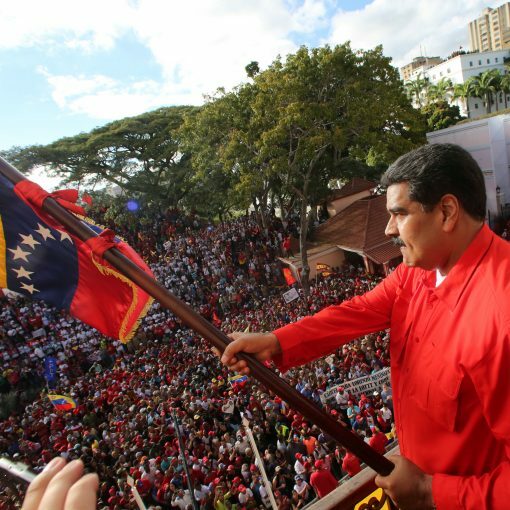 We need to be clear that the situation for the revolutionary and progressive forces is good, and we cannot afford to oscillate between rage and despair. We need to seize the time, take as many people as far as possible, and rain every possible blow on the enemy.